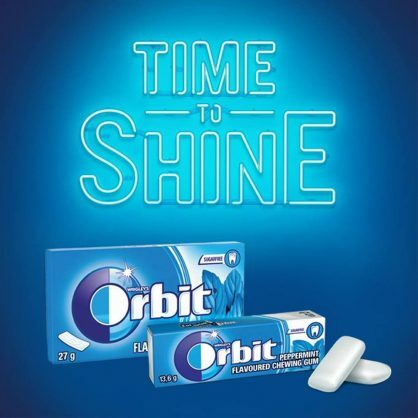 WIN A ORBIT HAMPER WORTH R2 000! 3 Orbit hampers up for grabs! Whether you are popping the question, going on a blind date or asking for a raise, Orbit sugar-free chewing gum gives you the confidence to tackle life’s big moments because IT’S YOUR TIME TO SHINE! Follow the conversation on social media using #ItsYourTimeToShine and on Orbit’s Facebook page. Your greatest moments are the ones where you shine, that is why The Citizen have partnered with Orbit to run a competition where you stand a chance to WIN 1 of 3 cool hampers worth R2 000 each including an instax camera and Orbit product. Competition closes at midnight on Friday 26 October 2018. From now until the 30 November 2018, you could stand a chance to win a Mini Cooper, plus R200 000 in cash prizes. To enter, buy any two Orbit products, dial *120*846*2001#, follow the prompts on the screen and enter the last four digits of both barcodes.